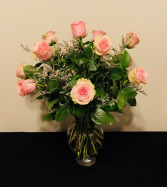 This lovely orange rose arrangement features a bicolored orange and pink rose with filler and simple greenery. 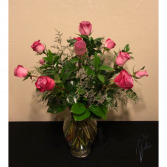 The addition in pricing refers to added greenery and filler for an even more gorgeous arrangement! Call the shop at (208)323-7738 to customize your order! 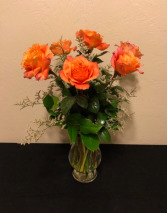 *These orange roses come naturally more open with more petals. Their colors can vary from pastel to vivid depending on the season. Call for details! This large display features lovely lavender roses that flare with a hot pink tip, greenery and purple filler. 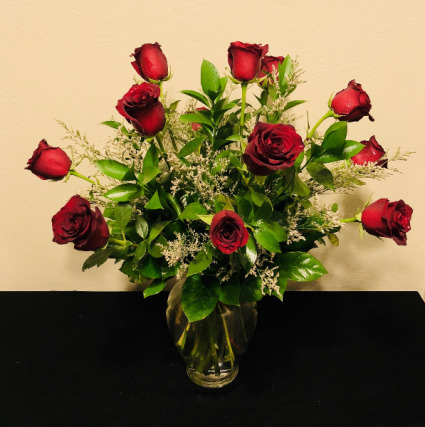 Call the shop at (208)323-7738 to customize your order. The price differences include added specialty greenery or different filler. Call for details.